!! We're Back in Town !! 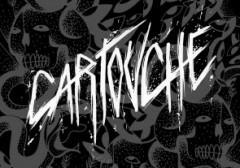 Fronted by the dynamic male duo of beatmaker Laurent M. and singer Muzah, Cartouche delivers an experimental electronic project who navigate between electropunk, noise and mutant hip-hop. Born in january 2016 Laurent and Muzah began their journey as members of Baxter Lilly Band signed on Audiotrauma Label nearly a decade ago and have spent the years since around Switzerland, France and Belgium to finally planting roots in Bruxelles. Since then, they’ve met Mathieu DM and his tenacity in the most effective way. Professeure Postérieur burns the concert hall with a quite intense warm-up. She takes the stage with a wild and goofy aerobic participatory performance, promising you to experience pleasure in pain. This ain’t no sport, this is SPROT ! (sprot : m. n. less known but also less boring discipline than its nearest cousin the sport). Sneakers are welcome, crazy outfit highly recommended! Brussels mighty dj and all true forward-thinker of electronic sound, Hugo "Ucture" Ficher is a man of many talents who kept our feet shaking and brains dancing for now more than two decades. Ucture started DJing in the early Belgian Techno days. Although his output over the past few years has been far more eclectic, he is still moving backwards and is now exploring the outer reaches of raving acid and fire-breathing beats.